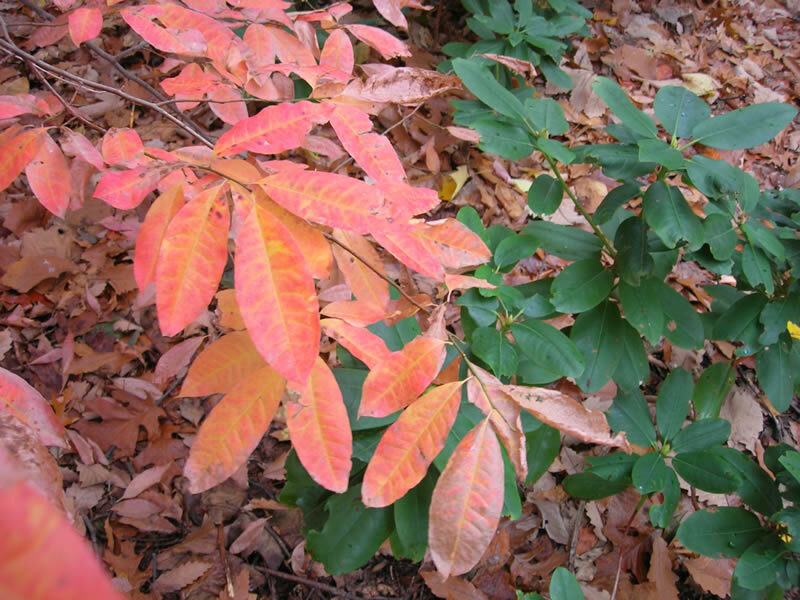 Sourwood, also called the sorrel tree, is a member of the heath family (Ericaceae) which includes azaleas and rhododendrons. Like the rest of this family, it grows best in moist, acidic, well-drained soils and can be found growing wild along gravelly stream banks of eastern North America. 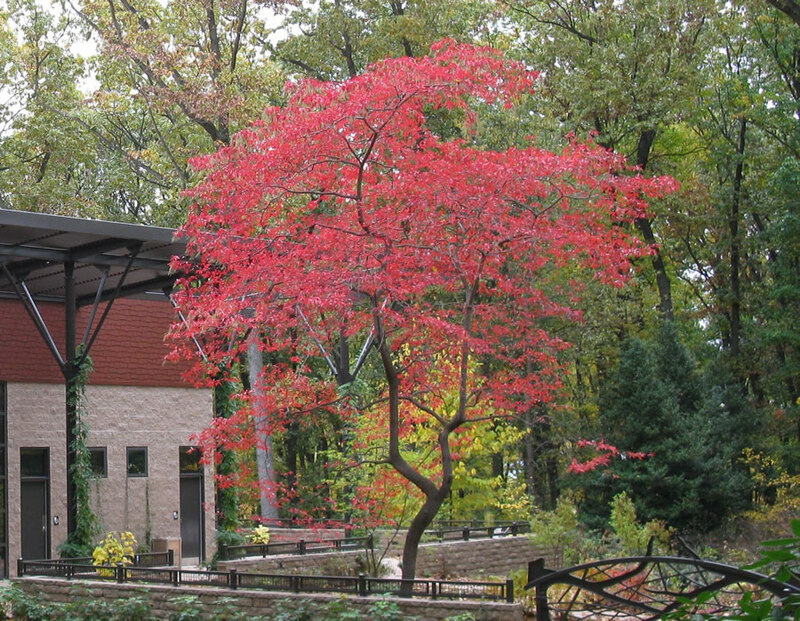 The Arboretum has several sourwoods, with the most spectacular specimen featured in the Green Ribbon Garden. It is a hardy, 25-30 foot tall tree that can be used in woodland gardens, shade gardens, open islands, or as a specimen plant. The perfect, white, urn-shaped flowers are fragrant and appear from June to early July, but the sourwood really shines in fall when its leaves turn from dark green to brilliant orange-red. The best color develops on plants that get the most. In addition, bees are attracted to the flowers and sourwood honey is highly prized.